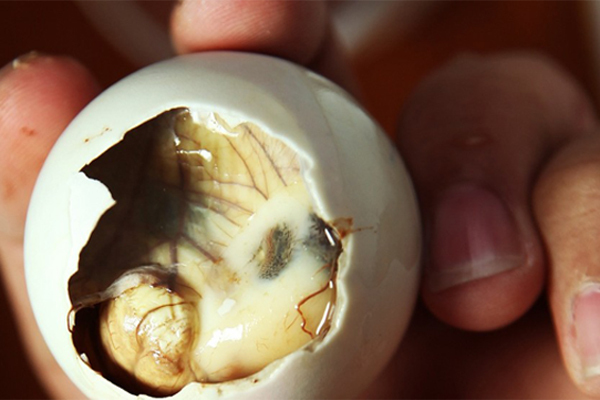 Looks like there’s no more balut for our kababayans staying in Dubai. 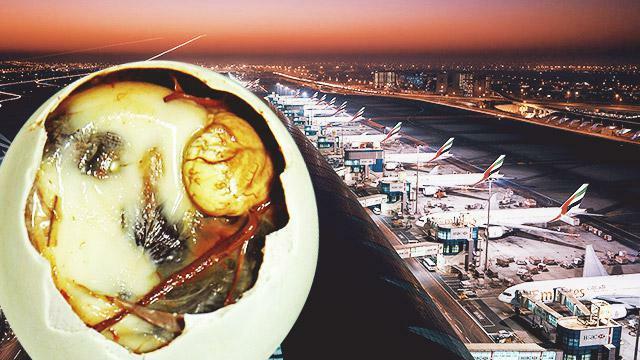 The Philippine Consulate General in Dubai has warned Filipinos from sneaking in their luggage balut, or cooked duck eggs, a street food staple here in the Philippines. 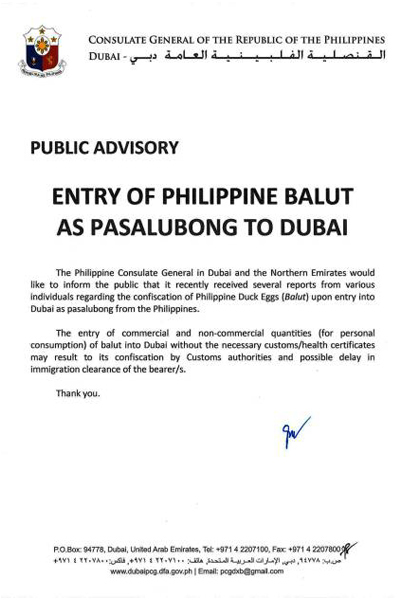 In a public advisory that was released on Tuesday, the consulate warned Filipinos that, "the entry of commercial and non-commercial quantities [for personal consumption] of balut into Dubai without necessary customs/health certificates may result in confiscation by Customs authorities and possible delay in immigration clearance of the bearer." According to Gulf News, any shipment of table eggs into Dubai should comply with the import conditions referred to by the country's Veterinary Quarantine Act No 6 of 1979. Those that do not meet regulations will be stopped as per quarantine procedures and reshipped, destroyed or confiscated. In order for eggs to be allowed in Dubai, they should be "unfertilized, fresh, intact, and fit for human consumption." They should also be produced by egg-laying chickens, classified in a farm licensed from the exporting country. The UAE is a popular destination for Filipinos who are seeking jobs abroad. It currently ranks second behind Saudi Arabia as the top destination of Overseas Filipino Workers (OFWs). More than 700,000 Filipinos are living in the UAE, of which 450,000 live in Dubai.